Video footage of the reunited METAL CHURCH — Ronny Munroe on vocals, Kurdt Vanderhoof and Rick Van Zandt on guitars, Steve Unger on bass, and Jeff Plate on drums — performing on August 30 at The Liberty Theater in Puyallup, Washington can be seen below. 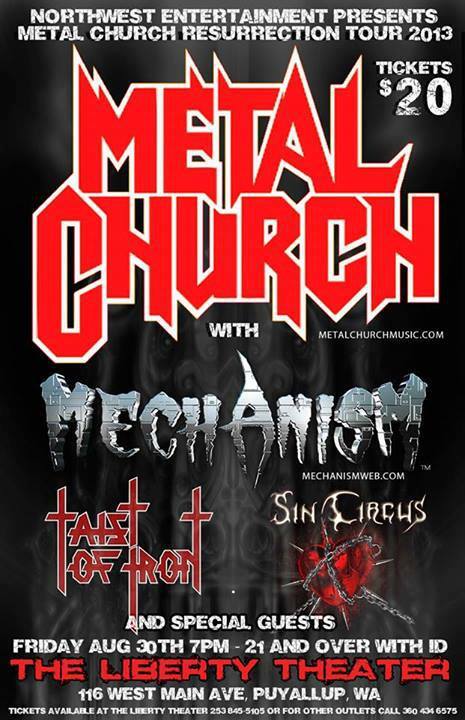 METAL CHURCH recently inked a deal with Rat Pak Records. The band's tenth studio album, "Generation Nothing", will be released in the early fall via Kurdt's label Body Of Work Recordings in conjunction with Rat Pak.